CBT Direct's Online Training Certification Courses. Online courses from CBT Direct provide self-paced, hands-on training that will help ensure your future success in today’s competitive world. We bring award-winning training, used by fortune 500 companies and the U.S. government, to small business and goal-oriented individuals. If you’ve decided learning is an initiative you need to pursue, but realize traditional instructor-led programs can be too costly and time consuming, CBT Direct’s online training is your ideal e-learning solution. Through our partnership with the industry leading content developer, SkillSoft, CBT Direct is able to provide one of the largest and most comprehensive libraries of online training available. With online course categories covering Information Technology development and certification training; Business development, compliance and certification training; Career development training; and Computer Desktop training; CBT Direct encompasses everything you need to get ahead of the rat race. Whether you’re looking to advance your career, improve your management or sales skills, brush up on the latest computer applications, enhance your interpersonal skills or you’re in charge of employees that need these vital skills, CBT Direct’s online courses are the answer to all of your training needs. 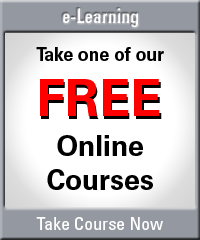 We invite you to browse through our website to find the online courses that are right for you. 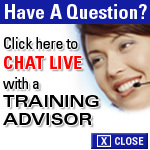 Why CBT Direct’s Online Training Courses? 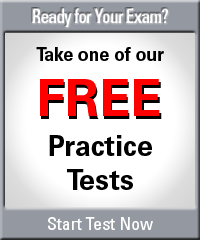 CBT Direct boasts the most effective online training available today for corporations and individuals. Our online courses deliver formal education content and support, directly to your desktop or laptop. With online training courses, you have the flexibility to study on your schedule. Training managers can deliver employee training on-site or off-site when they see fit. Individuals can study on their own time and still keep their day job, night job and personal life. With the speed and reliability of the internet, CBT Direct’s online courses are accessible anywhere you have a connection to the World Wide Web. Whether you’re a novice or advanced student, CBT Direct’s customized online course content is capable of being read with comprehension through multiple learning styles and a variety of delivery methods, proven to provide an optimum learning and higher retention education. CBT Direct’s online courses focus solely on each student, with targeted theories, interactive online training and certification preparation. CBT Direct provides affordable training solutions. With corporate budget cuts and people trying to make ends meet, traditional school expenses are out of reach for many. Convenience finally costs LESS with online courses from CBT Direct! CBT Direct offers a diversity of online course material, all up-to-date and current with today’s – and tomorrow’s – careers. With our reliable online course content and LMS (Learning Management System) platforms, you will receive career training that promotes interaction and hands-on learning. Plus, you can rely on all the records, reports and evaluations that CBT Direct’s online training maintains in order to assess your learning progress. According to the US Department of Labor’s Bureau of Labor Statistics, in October of 2003, 77 million people in the United States used a computer at work. Almost six years later, we don’t have to tell you how many more employers rely on their workers to be computer and internet savvy. What better way to study, practice, learn and apply your education than with computer-based online training? In these tough times, staying ahead of the competition is crucial. Business strategies and operating plans are designed to give companies a competitive edge and increase profitability, while meeting complex compliance and certification requirements. Once those strategies are implemented, it’s up to individual employees to execute them. But what happens if the strategies are not well communicated throughout the organization? What if employees lack essential skills to accomplish their work? What if cultural barriers stand in the way of progress? Keeping your staff’s skill set and knowledge up-to-date is vital to the strength and success of your company. Partnering with CBT Direct will allow you to provide the employee training you need on tightened budgets, without interrupting their daily work production. Competition is fiercer than it ever has been, with the unemployment rate at record high, corporate companies going bankrupt, employees desperately trying to keep their jobs, limited new jobs available and millions of potential employees searching and competing online for the same jobs as you. Regardless of your occupation or background, today’s employment market is a ‘war for talent’, and it’s difficult to stand out in the crowd. What can you do to not only get noticed, but be in high demand? What can you do to ensure your job is safe? Upgrading your skill sets, improving your professionalism and gaining in-demand certifications through CBT Direct’s online courses will help the success and longevity of your own career.